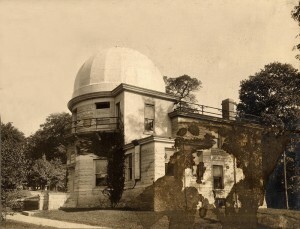 As a follow up to my post on Kirkwood Observatory, here are a few historic photos from the Archives Photograph Collection at Indiana University. 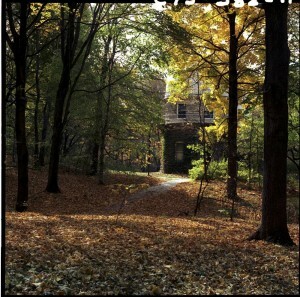 First, we have a slightly damaged photo taken within the first decade of the building’s life. 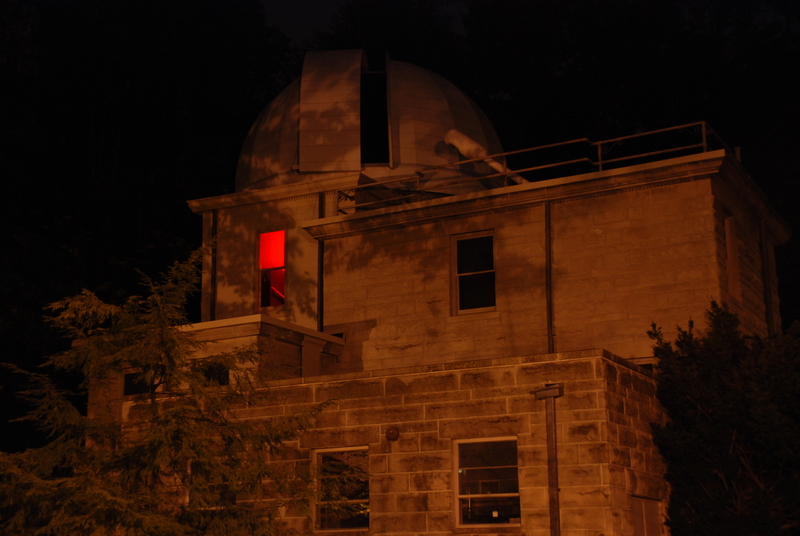 If you compare this image with the night shot I posted earlier, you can this photo was taken before the addition to the west side of the observatory. I have a feeling that collegiate ivy tucked into the northwest corner of the building is going to cause trouble. Second, we have a view of the building in an apparently defunct stage, covered with…wait for it… ivy. 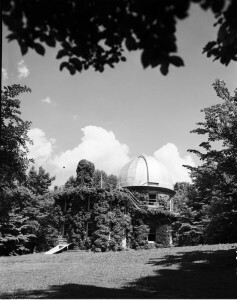 As you can see from the third photo, a view of the observatory through the trees of Dunn’s Woods, a fresh crop of ivy was engulfing the observatory in 1975. I was just admiring the repointing job someone did on the mortar in those limestone walls last weekend; now I know why the joints had to be repaired.